After this, Jesus and his disciples went out into the Judean countryside, where he spent some time with them, and baptised. Now John also was baptising at Aenon near Salim, because there was plenty of water, and people were constantly coming to be baptized. (This was before John was put in prison.) An argument developed between some of John's disciples and a certain Jew over the matter of ceremonial washing. They came to John and said to him, "Rabbi, that man who was with you on the other side of the Jordan-the one you testified about-well, he is baptizing, and everyone is going to him." To this John replied, "No one can receive anything except what has been given from heaven. You yourselves can testify that I said, 'I am not the Christ, but am sent ahead of him.' He who has the bride is the bridegroom. The friend of the bridegroom, who stands and hears him, rejoices greatly at the bridegroom's voice. That joy is mine, and it is now complete. He must become greater; I must become less. "The one who comes from above is above all; the one who is from the earth belongs to the earth, and speaks as one from the earth. The one who comes from heaven is above all. He testifies to what he has seen and heard, but no one accepts his testimony. Whoever has accepted it has certified that God is truthful. For the one whom God has sent speaks the words of God, for God gives the Spirit without limit. The Father loves the Son and has placed everything in his hands. Whoever believes in the Son has eternal life, but whoever rejects the Son will not see life, but must endure God's wrath." I have learned from heaven that the earliest people had direct revelation, since their deeper parts were turned toward heaven. This was how the Lord was connected with human beings at that time. Later, though, this kind of direct revelation stopped happening, and was replaced by indirect revelation through correspondences. Every part of their divine worship was was made of correspondences, so that the religion of that era may be called "symbolic religion." In those days, they know what correspondences and symbols were. They knew that everything on earth corresponds to or symbolizes spiritual things in heaven and religion. So the physical items that were the outward forms of their worship served as a means for them to think spiritually-which mans thinking with angels. After people forgot their knowledge of correspondences and symbols, the Bible was written, in which all the words and their meanings are correspondences, so that they have within them the spiritual or inner meaning that the angels have. So when a person reads the Bible and understands it literally, the angels understand its inner, spiritual meaning. . . . This is why, after people moved away from heaven and broke the link, the Lord arranged a way of connecting heaven with people through the Bible. One of the fringe benefits-both for me and for the church-of my trip to Florida for the meetings and workshops was that I had a chance to do something I haven't done for a while: read a book! The book was Channels of Spiritual Strength, by the Rev. John Clowes. (It was originally published in 1814 as On Mediums, but since that word has now taken on a different meaning, when my father edited and rewrote it for reprinting, he gave it a new, more descriptive title.) Both this week's and next week's sermons are inspired by this book. Before we delve into some of the channels of spiritual strength that the Lord has made available to us, I would like to say a few words about the author of the book. Although John Clowes was one of the best known and best loved ministers and authors in the early years of the New Jerusalem Church, he was ordained as an Anglican priest-and remained an Anglican priest to his dying day. Upon ordination in 1769, he was called to St. John's Church in Manchester, England, where he served as rector for sixty-two years. However, not long after he began his ministry, in 1773, he read the works of Emanuel Swedenborg and became convinced of their truth. From then on, with his congregation's support, and with eventual acceptance from his superiors in the Anglican Church, he openly preached New Church teachings in the Anglican church he served. This is of more than historic interest. Perhaps the earliest controversy among convinced readers of Swedenborg was between the "separatists" and the "non-separatists." The separatists, led by one Robert Hindmarsh, believed that the New Church must separate itself from the existing Christian church and form its own "distinctively New Church" organization. The non-separatists, with John Clowes as their leading spokesman, believed that those who accepted the teachings in Swedenborg should remain in the churches they currently belonged to and "leaven the loaf" of established Christianity with the new teachings to be found in Swedenborg's writings. As a Swedenborgian denomination, we, of course, trace our roots back to the separatists, who did form their own church: the British Conference, which is still the major Swedenborgian denomination in Great Britain. Still, even though our church draws on the legacy of the separatists, in many ways I believe the non-separatists have been carrying the day in the long run. While all the Swedenborgian churches put together have never amounted to more than a drop in he bucket of this world's religious organizations, the ideas of Swedenborg have grown and spread more and more into the mainstream of religious thought in the Western world, and have made inroads in the East as well. 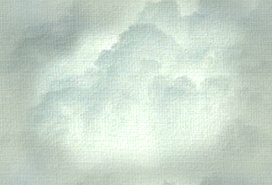 These days, the most obvious examples of this are the great interest in angels and near death experiences, which has such a strong parallel in Swedenborg's writings. But on a less obvious level, the mainline churches have been gradually dropping the outmoded Christian theology that Swedenborg railed against, and have been moving closer and closer to the new Christian theology to be found in Swedenborg's writings. I do not know if our Swedenborgian Church will ever become a great world religion like Catholicism, Protestantism, Judaism, Islam, Hinduism, or Buddhism. But I am convinced that those religions will all move-and are all moving-in the direction of the spiritual views that Swedenborg presented in his religious writings. This bit of history has not been as much of a detour as it might seem. One of the greatest channels of spiritual strength the Lord has given us to sustain us for our spiritual life is religion itself. The more fundamentalist groups in the various world religions may claim that only their particular brand of religion has what it takes to get us into God's good graces. But one of Swedenborg's teachings that was revolutionary at the time, although it is now widely accepted in non-fundamentalist circles, is that all religions have a common thread of spiritual truth that gives their adherents what they need to live a good and God-centered life. This takes away some of the urgency among Swedenborgians to try to make converts to our way of thinking. If people can be saved by any authentic religion that is genuinely believed in and practiced, it is not quite so critical that people accept our particular brand of religion. God has given many different religious "channels" for people of different cultures and different mindsets to derive their spiritual strength from. If our particular church isn't right for someone, there is another one that will be. On a personal level, this means we can gain the emotional and spiritual strength we need from our particular church, without needing to look down on anyone else's church or religion-from which they derive their spiritual strength. What are some of the other channels of spiritual strength that the Lord has given us? We will in no way be able to cover them all, but a few are so important that they must be included. One of the most important is the Bible. As we read in the passage from Heaven and Hell, the earliest people on our earth didn't need a Bible, because they had direct communication and revelation from the spiritual world. Their minds were open to the inflow of insights and emotions from heaven (and through heaven from God), so they had a constant, direct channel of spiritual strength. But we live in a culture that has long since turned its primary interest to material things. This is a materialistic culture! And since our culture tends to focus on material things, we have mostly closed off that particular channel of spiritual strength. Most of us, most of the time, simply aren't tuned in to the voices of the angels who would be very happy to help guide us if we had the ears to hear them. Yet the Lord never leaves us without channels of spiritual strength. When people stopped listening to the messages that came directly from heaven, the Lord gave us an indirect channel: the Bible. For us, the Bible is one source of spiritual strength that is constant, no matter what state our minds may be in. Most of us have a Bible in our houses. All we have to do is open it up and read from it, and if we are looking for spiritual strength, we will find it in what we read there. Even when we are not able physically to read the Bible, we can, within our minds, tell ourselves its stories and teachings to help get ourselves through difficult times. The Bible is God speaking to us indirectly in a way that we can always hear. Perhaps the most personal channel of spiritual strength is prayer. The Bible was written in various cultures that existed long ago and far away. Though the human and spiritual realities are timeless, sometimes they are not in exactly the form that speaks to the current issues that we are involved in. Prayer-if it is genuine, living prayer-always goes directly to the heart of our current thoughts, feelings, and experiences. Prayer is our most direct and personal channel to God. Though we may not always be tuned in enough to realize how the Lord is responding to our prayer, our faith tells us that the Lord does hear our prayers, and even as we pray is granting to us as much of our prayer as falls within the divine plan that is unfolding for our lives. In prayer, we can express to the Lord our deepest thoughts and feelings, in our own words, and know that the Lord hears us fully-and is even more deeply concerned than we ourselves are that our lives should go in the best possible direction . . . if we will open ourselves to that direction. Our reading from Genesis introduces another channel of spiritual strength that has gotten a great deal of publicity lately. Angels are God's personal messengers of love, insight, and spiritual strength. We may not always feel their presence with us, but we know that they are always there, inspiring us with feelings of love and kindness both for our fellow human beings and for ourselves. Without the angels' presence with us, we would long ago have given way to our lower instincts, and abandoned ourselves to destructive behavior that would eventually lead to our death-both physical and spiritual. On the other hand, when we are fortunate enough to consciously sense the presence of angels with us, the experience is unforgettable, and gives us a spiritual inspiration and strength that we would not likely get in any other way. 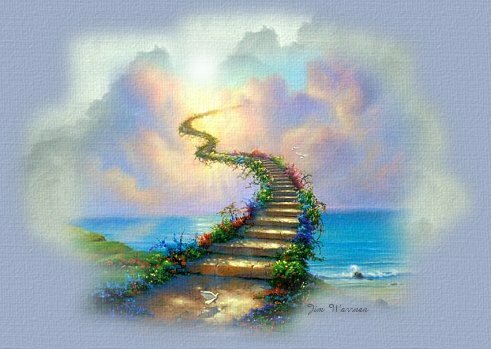 As in Jacob's dream of angels ascending and descending on a stairway that reached from earth to heaven, angels give us a channel that connects our earthy life to the vast spiritual power of heaven. But I have saved the most powerful channel of spiritual strength for last: the Lord Jesus Christ. This is the channel that John the Baptist recognized, and deferred to. This is the most direct channel of spiritual strength-for when we open ourselves to the Lord Jesus, we are opening ourselves up to God's own presence in our lives. In the person of Jesus Christ, God became fully human like ourselves, while remaining fully divine at the same time. In this way, God bridged for all time the gap between human beings and God. The Lord reached out and lived among us. The Lord still lives among us. And every time we turn to the Lord for help or inspiration or comfort or guidance, we are tuning in to infinite channels of spiritual strength. Amen.